Anakin Skywalker is the father of Luke Skywalker, and the man who will become Darth Vader. This profile depicts him as a little boy in the first movie of the Star Wars prequels trilogy, The Phantom Menace (1999). Known Relatives: Shmi Skywalker (mother). Blessed with great potential in use of the Force, Anakin exhibited certain Jedi abilities even before he began training. He had enhanced reflexes thanks in part to his ability to see things before they happened. The latter made him a highly skilled pilot ; he was the only known human being who was capable of pod racing. Some of the dreams he had at night about becoming a Jedi may have been vague visions of his future, though these dreams may have simply been wishful thinking on Anakin’s part. Anakin is also a highly skilled gadgeteer , capable of constructing such items as protocol droids and pod racers of professional quality from spare parts. Anakin pod-racing – the race begins. The circumstances of Anakin’s birth are a mystery. His mother, Shmi Skywalker, does not remember a father — she simply became pregnant with Anakin through unknown means. Darth Plagueius of the Sith reportedly had the ability to create life through manipulation of midi-chlorians and may have been the architect of Anakin’s birth. This is sheer conjecture, however. There is no evidence to confirm that Plagueius actually had the ability suggested or that he was involved with Anakin’s birth. Anakin grew up as a slave on the desert planet Tatooine. He and his mother originally belonged to Gardullah the Hutt, but she lost them betting on pod races. Anakin and Shmi Skywalker were thus transferred to the service of the Toydarian junkyard dealer Watto in the city of Mos Espa. The young boy’s natural talents for mechanics and piloting were put to good use by Watto. Anakin repaired the items in Watto’s junkyard when he wasn’t competing in Podraces. By the age of 9, Anakin was the best Podracer on Tatooine, only losing to the current champion Sebulba by virtue of Sebulba’s willingness to cheat. Another duty that Watto entrusted to Anakin was barter with the Jawas. Anakin was assisted in this by C-3PO, a protocol droid Anakin had secretly rebuilt from parts in Watto’s junkyard. Though he had originally built C-3PO to assist his mother, Anakin found the translator droid’s held with trade negotiations valuable. During one of these trips Anakin found an injured Tusken Raider. He tended to him until the Raider’s fellow tribe members retrieved him. This show of altruism toward a Tusken Raider was a perverse counterpoint to his mother’s eventual fate at the hands of a Tusken Raider party. When Jedi Master Qui-Gon Jinn and Padme (Queen Amidala) of Naboo came to Watto’s shop looking for a critical part for their ship’s hyperdrive, Anakin’s life changed forever. Qui-Gon sensed Anakin’s potential and sought to take him into the Jedi Order while also completing his current mission. Recognizing that Watto was a gambler, Qui-Gon convinced the Toydarian to take a bet that Anakin could win the famous Boonta Eve Classic Podrace, wagering the needed part and Anakin’s freedom against Amidala’s ship. Anakin entered the race using the pod racer he had secretly built using parts pilfered from Watto’s own junkyard. Despite the dangers of the race and sabotage by a competitor, Anakin won and left Tatooine with Qui-Gon Jinn. Once they arrived at Coruscant, Qui-Gon took Anakin before the Jedi Council for examination. Jinn suggested that Anakin could be the Chosen One, the person prophesied to bring balance to the Force. The Council recognized Anakin’s potential but refused to train him, insisting that Anakin was too old to become a padawan. Some of the Council also feared the potential darkness in the emotional young man. Qui-Gon protested the decision, but agreed to abide by it until the current political crisis between the planet Naboo and the Trade Federation ended and the matter could be considered more carefully. Qui-Gon brought Anakin with him when he returned to Naboo. Though Qui-Gon ordered Anakin to stay out of the battle, the young boy was drawn into combat. The fighter he was hiding in went on auto-pilot and flew to the engagement between the Naboo fighter wing and the Trade Federation’s droid control ship. Anakin took the ship off of auto-pilot and through a series of lucky breaks managed to fire the shot that destroyed the droid control ship, shutting down the Trade Federation’s robot armies and ending their occupation of Naboo. Though Qui-Gon had perished in the battle, his apprentice Obi-Wan agreed to take on young Anakin as his Padawan learner. The Jedi Council agreed to this, though at least one council member had his doubts. Jedi Master Yoda warned Obi-Wan to beware the potential danger that Anakin posed. Anakin is a young white male with slightly smaller than average frame for a nine-year-old. His thick straight hair is kept fairly trim, reaching the nape of his skull ; this was trimmed down further to a crew cut with a length of braided hair when he became a Jedi Padawan. His face usually wore a look of wonder as he took in the fantastic sights beyond Tatooine, though annoyances would provoke a pinched look of stubbornness. Anakin wore simple canvas tunics, leggings, and feet wraps as a slave on Tatooine. Once he became a Jedi Padawan, he wore the traditional garb of the order, which wasn’t much different except the cloth was cleaner and of higher quality. As a Jedi, he also wore the traditional utility belt with various convenient items attached. Like most young slave boys, Anakin had dreams of winning his freedom and becoming a hero. Despite his rough upbringing Anakin was polite and generous to others, always ready to offer his help to any who needed it. He was fascinated by the idea of leaving the confines of his home planet and reveled in the adventures he found off-planet when freed by Qui-Gon Jinn. Though he’d always dreamt of seeing the galaxy and he knew his mother was content with the life she led, Anakin still felt some trepidation at having left her behind. He felt an immediate connection with Princess Amidala, whom he had met when she came to Tatooine with Qui-Gon Jinn, but his entry into the Jedi Order would separate them for the next ten years. Despite Anakin’s predominantly altruistic nature, he was somewhat intemperate. 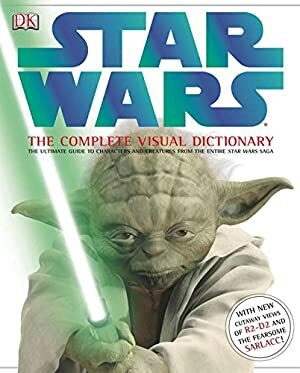 He attacked a Rodian who accused him of winning the Boonta Eve Classic Race by cheating and was visibly (though understandably) angry when the Jedi Council initially rejected him for being too old to begin training. Anakin could be another mutant like Captain Comet, who exhibited similar psychic powers and engineering talent. Expertise (Barter, Jawas, Desert Survival), Familiarity (Tusken Raiders), Iron Nerve, Languages (Huttese), Lightning Reflexes, Scholar (Vehicle Design), Strong in the Force. Obi-Wan Kenobi, Jedi Knight (High), Jar-Jar Binks (Low), Jedi Order (Low), Padme Naberre (Queen Amidala of Naboo) (Low). Age (Young), Innocent, Misc. : body mass is 1 AP. Anakin integrated a number of innovations into the design of this Podracer, giving it a top speed of almost 570 mph, much higher than was usually possible for Pods without very large engines while retaining the maneuverability usually lost with larger Pods. After Anakin won the Boonta Eve Classic and was free to leave Tatooine, Qui-Gon Jinn sold Anakin’s Podracer to his competitor Sebulba. Sebulba repainted the Podracer and used it to regain his champion status on Malastare before passing it onto his son Hekula, who eventually crashed it during one of his races on Euceron. Note: Podracing maneuvers usually have an OV/RV of 10/10 to 12/12. Even simple turns have an OV/RV of 06/06 to 08/08, depending on how sharp the turns are and the margin for error (if the turns are in a narrow passage, for example). Straightline driving doesn’t require Vehicle checks. A99 Aquata Breather [BODY 02, Water Freedom: 00, Limitation: Water Freedom only allows underwater breathing (Base Cost only, no FC)]. Homing Beacon [BODY 04, Cling: 08, Radio Communication: 15, Bonus: Scrambled (+1FC), Limitation: Signal Only (-1FC). This device can be attached to vessels or other items to allow Jedi to track them]. Comlink [BODY 02, Radio Communication: 11, Note: these comlinks are set to pick up signals from the homing beacons listed above]. Liquid-metal Cable Launcher [BODY 04, Ammo: 05, R#02, Note: This item shoots a swing-line with a BODY of 07 and a length of 3 APs]. Prior to Qui-Gon Jinn’s arrival on Tatooine, Anakin did not have his current Connections. He also had a 15-point Miscellaneous Drawback relating to his status as a slave, since he could not leave Watto’s service without being killed by the slave control device implanted in his body. During the brief time he was mentored by Qui-Gon Jinn, Anakin had a High Connection to that venerable Jedi Master. By Roy Cowan and Michael Davis. 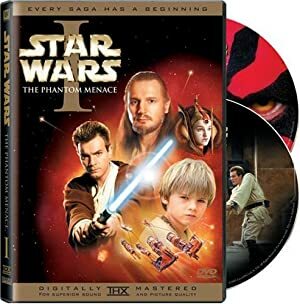 Source of Character: Star Wars Episode I, The Phantom Menace (movie), character played by Jake Lloyd. 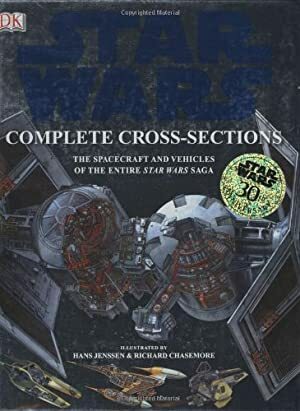 Helper(s): Star Wars Episode I novelization, Databank at starwars.com , Star Wars Episode I Visual Dictionary, Star Wars Episode I Incredible Cross Sections, Sébastien Andrivet for his equipment stats, Chris Cottingham.